The Entrance Access Solution Telescopic door system is a real space saving option. With two door leaves sliding in the same direction, stacking in the open position. This allows our telescopic sliding door systems to be installed where conventional sliding door are unsuitable due to space restrictions. Available in both single and bi-parting configuration, a telescopic sliding door can be a great option in many applications. From large supermarkets to small office spaces, health centres and retail units they offer an elegant solution where space is restricted. Our doors are Installed with the latest in monitored activation and safety sensors, along with the systems self-monitoring processor. EAS Telescopic door operators are safe, reliable and energy efficient. The sliding door systems are also fitted with emergency battery back-ups and a fire alarm connection, allowing them to be used in emergency escape routes. The EAS Telescopic door can also be fitted with an integrated electro mechanical lock within the operator itself allowing this to be ideal for secure entrances. The product is also compatible with any access control device from key pad, fob or video entry systems. Available in a wide range of colours and finishes, the slim and stylish EAS telescopic operator is sure to enhance the look and functionality of your entrance when space is limited. Telescopic sliding doors are different to standard sliding doors in that two door leaves are sliding in the same direction and then stack up to one side in the open position. These types of doors are fantastic for small areas as they limit the amount of space you require. Telescopic sliding doors are also available as bi-parting doors, with this type of solution two door leaves will stack up on each side of the opening. Entrance Access Solutions offer telescopic doors in architectural aluminium with a range of finishes. The doors can also be supplied in toughened glass. We also have a large variety of activation devices including sensors, push pads and access control. What locking mechanisms are available for telescopic doors? Automatic sliding doors and telescopic sliding doors can be fitted with electric locks or standard manual locks. Both are secure options and additional locks can be added if required. The systems can also be connected to access control devices making then a great option as a secure entrance. Where should one use telescopic sliding doors? Automatic telescopic sliding doors are suitable in nearly all buildings and environments. Entrance Access Solutions have installed automatic telescopic sliding doors in hotels, doctor surgeries, hospitals, shopping centres, office blocks and retail units. Telescopic doors are a real space saver and therefore a great option when space is at a premium. 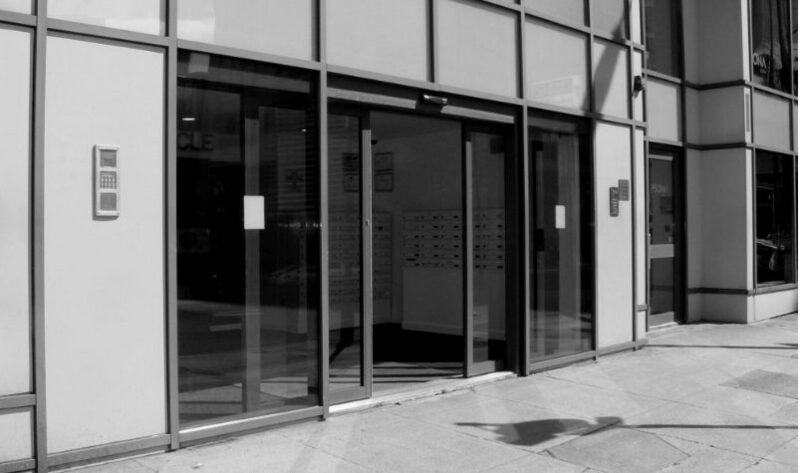 Telescopic sliding doors are also one of the most popular entrance solutions as they are affordable and reliable but also offer a stylish look for any business.